The petrol and diesel prices in India have stabilised lately after some days of constant increase. Wish if there is a way to save some bucks on your fuel bill? Well, surely you can with the apps and services listed below. These apps and services show prices of petrol and diesel realtime. If you wondering how this will help? These may help you know where exactly fuel is relatively cheaper. 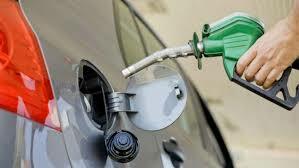 For example, the prices of diesel and petrol are currently lower in NCR areas such as Ghaziabad, Noida, Meerut, Gurgaon and Faridabad than in Delhi. Also, prices of diesel and petrol now vary from fuel station to fuel station. So, here are the apps to help you decide where you can get your vehicle's tank filled next. This is Indian Oil's app to check fuel prices in your city 'live'. The app is available on both Apple's app store and Google's Play Store for Android smartphone users. Consumers will need to create an account to access the features of the app. The 'Locate Us' tab in the app leads users to a map that shows petrol pumps around. Users can click on the map and check that day's rates. This is BPCL's app to check daily fuel prices in your city. Other than information on daily fuel prices, the app also offers several other features such as location of the nearest fuel station, facilities available at the fuel pumps and more. There's also an 'offer zone' which is linked to the company's Petro smartcards. This app provides information on daily petrol and diesel prices in different cities. You can search your city followed by the areas where the prices are higher or lower. It also tells you the fuel price fluctuation over the last seven days. This app, unlike others, is a crowdsourced app wherein the end users give information on the petrol and diesel prices. Alongside petrol and diesel prices, the app also gives information on the CNG fuel a well. It covers fuel stations from IndianOil Corporation Limited (IOCL), Hindustan Petroleum Corporation Limited (HPCL), Bharat Petroleum Corporation Limited (BPCL), Reliance Petroleum, Essar Petroleum & Shell India. In addition to giving the regular prices for fuel, this app also shows live fuel prices across several cities India. Furthermore, it keeps a track of other cities where you have been traveling. Like any other app, this too gives you the up to date prices of petrol and diesel at different fuel stations across India. It also has an inbuilt calculator to determine how much more or less you are paying. In addition, you can see the price rise graphs to keep a better track. You can also add a quick widget on the home screen of your Android phone to access the app. Consumers can also visit the Indian Oil's website (iocl.com) for prices. The website has 'Check fuel prices' banner running right on the home page, a click on it takes users to the page that shows city-wise rates. It also shows previous rates for comparison. The other big oil companies Hindustan Petroleum Corporation Limited (HPCL) and Bharat Petroleum Corporation Limited (BPCL) too have similar links on their websites -- https://www.bharatpetroleum.in/index.aspx and https://www.bharatpetroleum.com/index.aspx. Consumers can also check the prices applicable in their city by sending an SMS, 'RSP DEALER CODE' to 92249-92249. For Bharat Petroleum, consumers can send the SMS (in the same pattern) to 9223112222. For Hindustan Petroleum, consumers need to send SMS on the number 9222201122. The SMS should follow HPPRICEDEALERCODE pattern. All petrol pump dealers have been asked to display their numbers prominently for users' convenience. It is possible to get up to Rs 7,500 cashback on petrol payments using PayTM. As mentioned in the dedicated page, users will get different cash back offers every time a transaction takes place. However, for each cashback, they would have to use a promo code so that Paytm could recognise the fuel transaction, tally it with the particular petrol pump station and provide cashback offers. If you have been planning to buy a car, this is the best time. Car dealers around the country is offering huge discounts on some of the best selling cars in the country. As India is celebrating its biggest festivities, car companies are throwing away some major discounts. From exchange bonus to additional discounts, here are some of the top offers on the best cars you can buy this festive season. The list includes different cars from multiple manufacturers mainly focusing on the sedan category. Maruti Suzuki is offering its sub-compact sedan Dzire at a very attractive price this festive season. You can get an all new Maruti Suzuki Dzire for a whopping cash discount of Rs 40,000 coupled with an additional exchange bonus of Rs 50,000. Coming to another bestseller, the Hyundai Elantra is up for sale as well. This sedan from the Korean manufacturer is being offered at an very attractive price this Diwali. You can buy Hyundai Elantra this festive season with an exchange bonus of Rs 25,000 plus an additional discount of Rs 35,000. Another Hyundai bestseller, the Hyundai Xcent is also getting a flat cash discount of Rs 40,000. You can additionally avail an extra exchange bonus of Rs 50,000 for a new Hyundai Xcent. The company is also offering a special Rs 5,000 extra discount for Government or Corporate employees. Now let’s get a little more premium. If you have been planning for a premium sedan, Honda City is the most probable option in the country. The Honda City is now up for sale with a special exchange bonus of Rs 62,000 this festive season. Another car from Hyundai, the much popular Verna is on sale as well. You can get a brand new Hyundai Verna at a very attractive price this festive season. The company is offering Rs 20,000 cash discount plus Rs 20,000 exchange bonus and an extra Rs 20,000 additional discount for a new Verna. Tata is again scoring high in the hatchback and sedan segment. You can get an all new sedan this festive season for a cash discount of Rs 60,000. Furthermore, you can avail an additional exchange bonus of Rs 20,000 and extra discount of Rs 2,500 with the car. Coming to another sedan from another company, the Nissan Sunny will be available at a special price this festive season as well. You can avail a cash discount of Rs 42,000 with an additional exchange bonus of Rs 30,000 and an extra Rs 5000 special discount for Government and Corporate employees. Another sedan from Tata, the Tata Zest is up for a special offer as well. The car is getting a special cash discount of Rs 45,000, with an additional exchange bonus of Rs 25,000. Tata Motors is also offering an additional discount of Rs 2,700 to the Government and Corporate employees. Coming to Ford, the older Aspire is getting a special discount this festive season. The Ford Aspire is up for sale for a flat cash discount of Rs 40,000 with an additional exchange bonus of Rs 40,000. The much popular Toyota Yaris is up for sale as well. Toyota is offering its Yaris with free accessories worth Rs 10,000 along an extended five-year additional warranty. On Etios, the company is offering Rs 20,000 is cash discount and Rs 15,000 as an exchange bonus. NASHVILLE, Tenn. — For 2019, the Lexus ES is all new and marks the seventh generation of the Japanese nameplate's entry-level luxury four-door. We're happy to report that the redesign brings some very welcome attributes, and the 2019 Lexus ES does everything you'd want an entry-level luxury vehicle to do. Performance, no matter which of the two drivetrain options you choose, is respectable, interior comfort is on par with a Restoration Hardware sofa you'd spend real money on, handling is communicative, and most important for a Lexus, it's serenely quiet inside. While these are great attributes, there are a few places we wish Lexus had spent more energy revamping. Through the humid hill country just outside Nashville, on a mix of the congested city arteries and the flowing switchbacks of Tennessee's forested interior, we put the ES through its paces. The 2019 ES is based on Toyota's TNGA platform, which underpins both the latest Avalon and Camry models. Perhaps that'd constitute a knock in a previous era, but the new Camry chassis is a rollicking peach compared to some others in its class. It's rigid enough for a windy road dance, but compliant enough for daily-driver duties. Even better, Lexus engineers improved the TNGA platform for use in the ES. A 200 percent increase in stiffness over the previous ES is due in part to a liberal use of structural adhesives and laser-welded screws. The front strut towers are reinforced, and topped with a brace between them. This extra attention to detail pays dividends that include a smoother ride and better handling. New adaptive Dynamic Control Shocks quietly smooth out bumps and undulations, allowing us to wind through the rural backcountry roads confidently, and the steering gives better feedback than we'd expect from a vehicle like the Lexus ES. Pushing the big sedan into one of the many hilly, and often blind, corners along our route elicits only a minute amount of body roll. But chassis improvements aren't the only upgrade from the previous model. 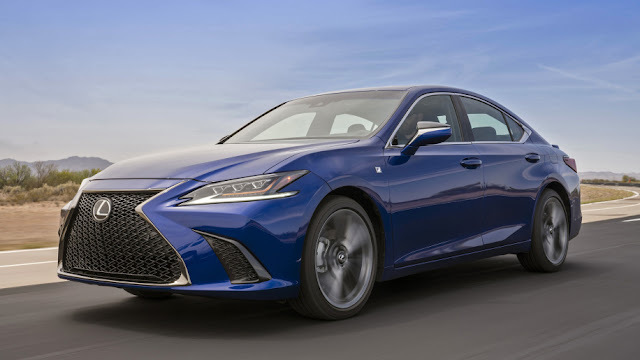 The 2019 Lexus ES comes standard with a 3.6-liter V6 delivering 302 horsepower at 6,600 rpm and 267 pound-feet of torque at 4,700 rpm. This represents a bump of 34 hp and 19 lb-ft from the previous generation's V6. The engine is coupled to Lexus' new eight-speed automatic transmission, which is encased in a housing smaller than the brand's previous six-speed automatic. The transaxle has been tuned to provide drivers with a more linear and smooth power delivery, thereby increasing the overall luxury feel of the ES. More environmentally conscious customers can opt for a 2.5-liter four-cylinder hybrid. While its 215 horsepower figure is sufficient, its big selling point is an average fuel economy of 44 mpg. The electrified powerplant is hitched to the brand's Electronically Controlled Continuously Variable Transmission, which is packaged more efficiently just like the non-hybrid's eight-speed automatic. While either engine option will tackle winding roads like those we encountered in Tennessee without issue, the bigger V6 pulls like a champ and is certainly the better option for driving enthusiasts. While we were legitimately impressed by its cornering capabilities, there's a tradeoff to consider. The new ES is smooth enough to satisfactorily iron out pitted pathways and rough roads, but it doesn't feel as plush as competitors like the Lincoln MKZ or Genesis G70. We're also not convinced that the interior is different enough from the Toyota Camry and Avalon to justify its expected price premium — Lexus was fuzzy with the numbers but gave us a ballpark. Though the ES does receive a new trim texture based on the finishes of a samurai's katana, if you were to compare interior shots of the Camry and the ES side by side, you'd find that the steering wheel, instrument display, starter button, transmission shifter, and lower console are interchangeable. It's only the infotainment screens, and some slightly higher-quality materials such as the leather seats, that differ significantly. This interior parts-sharing quandary has always been a fact of life for the ES, but these days it's hard not to drive an ES and cast a glance at the Avalon, if you can get past the badge. What's more, recent Lexus models like the LC 500 have really impressed us with excellent materials, design, craftsmanship, and attention to detail, and it's disappointing that more of the LC's special sauce didn't make it to the ES. Still, during a particularly winding stretch through Natchez Trace State Park — which could be a lovely super-stage rally course — the Lexus ES actually urged us to bury the accelerator and have fun behind the wheel. That's not something we would have felt from the last ES. It may not be aimed explicitly at driving enthusiasts, but the 2019 Lexus ES handles well enough not to turn them off, has good power in V6 guise, returns fantastic gas mileage in hybrid form, and offers a comfy interior for the route to and from work. Ignore the Camry and Avalon, as we expect most Lexus buyers will, and the result is an admirable take on what could've likely been a bland offering served up to an undiscerning crowd. We just wish Lexus had been able to work in a bit more upmarket mojo inside. 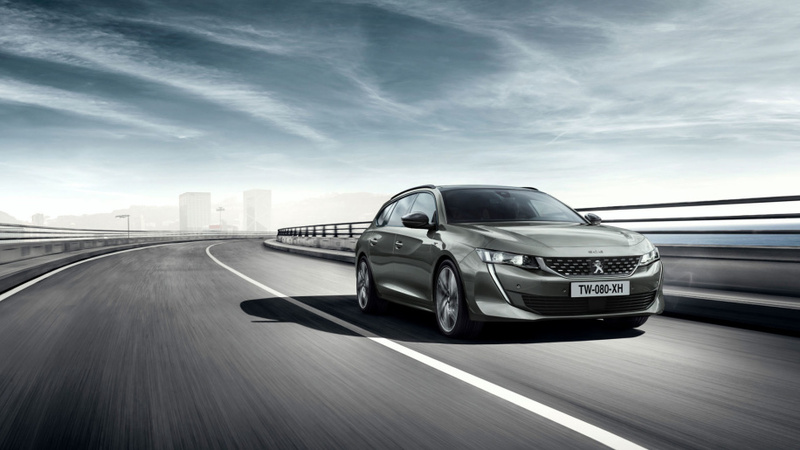 Back in February, we showed you images of the new Peugeot 508 sedan. Shaking off nearly two decades of fugly design tradition, the 508 is a handsome, well-proportioned car from a car company that once upon a time was actually known for making handsome, well-proportioned cars. As opposed to things that look like this. Well, you seemed to like the new 508 sedan, so here are images of its new wagon buddy: the 2019 Peugeot 508 SW wagon. Honestly, there's not much to report here beyond the fact it adds a rakish wagon tail and a huge heap of cargo space to the sedan. How huge? Its 1,780 liters of maximum cargo space, as Google informs me, is 62.9 cubic feet or basically on-par with most luxury compact SUVs. It's smaller than a Subaru Outback or Buick Regal TourX, but bigger than the Audi Allroad. One of the car's unique attributes is its frameless doors, which is really only something you'll find on coupes and old Subarus. Besides being cool, they allow for easier access under the new 508's low roofline. As for engines, there are six, and I'm only going to mention them because they're named like internet shopping promo codes. Your gasoline options, the 180 S&S EAT8 and 225 S&S EAT8, are 1.6-liter engines, while the four available 1.5- and 2.0-liter diesel engines are the 130 S&S BVM6, 130 S&S EAT8, 160 S&S EAT8 and 180 S&S EAT8. Peugeot's press release seemed to think I should know what that gibberish means, mais, je ne comprends pas. It has been reported that Peugeot's parent company, PSA, has been planning a comeback to the United States, but we wouldn't count on the 508 SW showing up here. Besides the chances of Peugeot as a brand being the chosen entry into the American market being slim, even slimmer are the chances of a wagon making it over, especially since this 508 SW will likely be due for replacement by the time any potential French invasion happens. 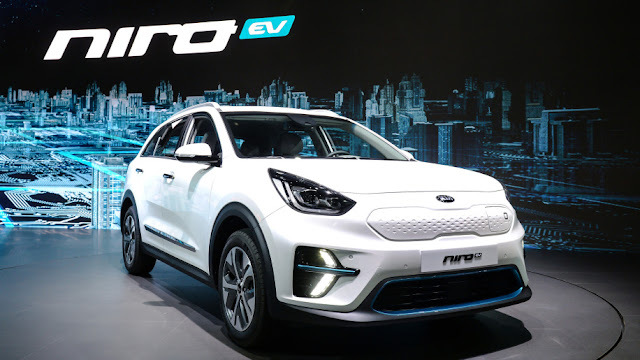 The Kia Niro EV has been introduced at the Busan International Motor Show. The manufacturer says its fully electric Niro compact crossover will go on sale in its home market this year, with global sales starting later. Kia already showed the production Niro EV last month, but at that point no power figures were announced. We know them now, and the 204-horsepower rating, together with a 291 pound-foot figure, match the Hyundai Kona EV. Under the trunk floor is a 64-kWh lithium polymer battery pack, which according to Kia is good for 236 miles on a single charge. A 100kW fast charger will get the battery to 80 percent capacity in 54 minutes. There's also a smaller battery pack available with a 149-mile range from 39.2 kWh. This presumably comes with a cheaper purchase price. Also revealed is the Niro EV interior, which features a different center console and gear selector than the hybrid and plug-in hybrid (much as the Hyundai Ioniq Electric does compared to its part-gasoline siblings). Also different is the special LCD instrument cluster and the 7-inch touchscreen infotainment system that gets special EV features like charge point location services and a battery pack charge indicator. A mood lighting system is also offered, similarly to the K900 flagship sedan. There's also a driver assist suite, consisting of collision warning systems, adaptive cruise control, "Intelligent Stop & Go" and Lane Following Assist, which Kia calls a Level Two autonomous technology. Like other such systems, it uses the adaptive cruise control and lane-keeping assist systems to control the accelerator, brakes and steering when on a highway. The system functions between 0 and 80 mph. New 1.5 L from Ciaz/Ertiga The petrol-sipping Vitara Brezza will be powered by the same 1.5-litre petrol engine that powers the new-gen Ertiga MPV. The modern gasoline engine will make its India debut on the upcoming Ciaz facelift. The new K15B 1.5-litre naturally aspirated petrol engine offers 104.7 PS and 138 Nm for the Indonesia-spec Ertiga MPV. In India, this engine will replace the K14 petrol motor that powers the Ciaz and the Ertiga. Automatic Transmission Like we said, Maruti Suzuki recently launched the AMT variants of the Brezza. The AMT-equipped Brezza is a direct rival of the diesel-sipping Nexon AMT. That said, the Vitara Brezza is yet to have a variant that can take on the likes of Nexon AMT petrol and Ford EcoSport petrol automatic. The upcoming petrol-engined Brezza, however, will change things in Maruti’s favour. The K15B petrol engine that will power the Brezza will be available with a four-speed automatic transmission. This will enable the highly popular compact SUV to fend off the heat from the AT-equipped petrol-powered rivals. Hybrid In one of its latest reports, Express Drives states that the upcoming 1.5-litre petrol engine will benefit from the SHVS micro-hybrid technology. The Ciaz diesel became the first Maruti car to sport this system. The SHVS tech was later added to the diesel variant of the Ertiga and to the updated S-Cross. The company is now planning to carry over this technology to the new K15B petrol engine. This means that the petrol variants of the new-gen Ertiga, Ciaz facelift, and Vitara Brezza will benefit from the SHVS micro-hybrid technology. This will, in turn, enhance the fuel mileage on offer. Standard Safety Features With the launch of the recent facelift, all the trim-levels of the Vitara Brezza compact SUV come equipped with three important safety features – ABS, front dual airbags, and reverse parking sensors. The same will be the case with the petrol-powered Brezza. Thanks to the upcoming safety norms, Maruti will have to offer these three safety features across all the trim levels of the Maruti Vitara Brezza petrol. 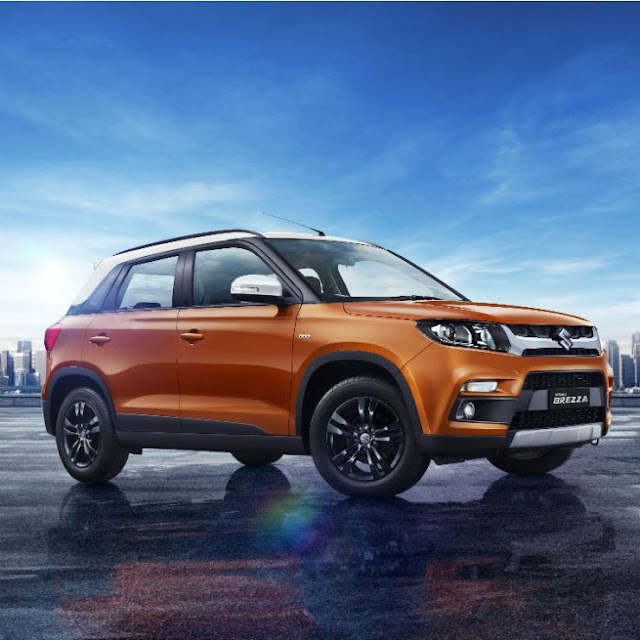 Will be also sold by Toyota As we’ve been saying, Suzuki Motor Corp. and Toyota have formed a partnership that will enable Toyota Kirloskar Motor to sell the Vitara Brezza, Baleno, and Ciaz through its own dealerships. In return, Maruti Suzuki will get the Corolla Altis D-segment sedan. Furthermore, Toyota will also help Suzuki with the development of a low-cost, high-efficiency electric powertrain for its upcoming compact vehicles. Like we just said, Toyota will be selling the Vitara Brezza compact SUV through its dealerships, which means that you’ll be able to purchase the upcoming Vitara Brezza petrol variant from Toyota! 1. Renault Zoe EV Renault Zoe has a driving range of 399km on a full charge. It runs on a Z.E 41kWh battery and takes 8-10 hours for a full charge through a regular adapter. On fast charge, it takes just over an hour to get charged. It’s a powerful EV and has power output ranging between 88PS and 92PS with 220Nm of peak torque. 2. Tata Tiago EV The Tiago is the small car from Tata Motors and an electric variant of the car is on display. The Tiago EV takes 360 minutes to charge in normal mode whereas 90 minutes in fast charging mode. On one full charge it runs for about 130 kms and has top speed of 100 kmph. 3. Tata Tigor EV Another electric vehicle from Tata Motors is its sedan the Tigor. Like the Tiago, the Tigor is expected to hit the Indian roads in 2018. The Tigor EV takes 90 minutes to charge on fast mode and four times more on normal mode. It can run up to 130kms on a single charge. 4. BMW i3s This strikingly good looking car from BMW packs in a lot of power. 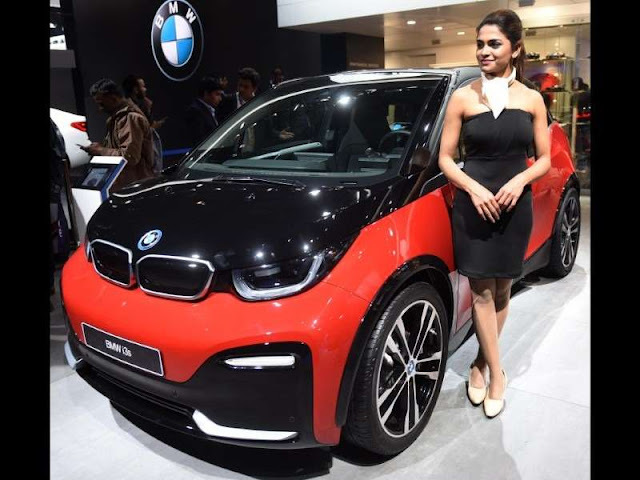 The i3s has a 33kWH battery which can touch 0-100kmph in 6.9 seconds. It has a range of 280 kms and a power output of 184PS. 5. Mercedes Concept EQ The Concept EQ is a futuristic looking car which boasts of a lot of power. The dual electric motor generates as much as 408PS of output. It can touch 0-100 kmph in five seconds and has a range of 500 kms. 6. Kia Soul EV The Soul EV is one of Kia’s most popular electric cars around the world. On a single charge, Soul EV runs for about 190 kms and boasts of top speed of 150kmph. 7. Hyundai Ioniq Hyundai’s Ioniq comes in all three variants – plug-in, hybrid and all electric. The electric variant of Ioniq offers range of 200 kmph and has a 28.9kWH battery pack. It’s an extremely stylish looking car and will certainly make heads turn. 8. Tata Racemo The all-electric version of the Racemo that has been christened 'Racemo +-' comes powered by a 150kW (or about 203hp) electric motor that draws charge from a lithium-ion battery pack. Tata claims a full charge gives the Racemo +- a range of 350km. 9. Honda Sports EV Concept At every Auto Expo there's a car which attracts swarm of people for its audacious looks. This year in all likelihood it will be the Honda Sports EV concept. There's very little known about what's under the hood but it has a wacky design with LED headlights, a coupe like look and feel and square LED tail lights. Don't expect the car to be launched in India any time soon or perhaps never. 10. Maruti Esurvivor EV Another concept car that promises a lot. The e-Survivor concept has autonomous driving abilities and the entire dashboard is touchscreen. The dash can be used to connect devices, for navigation and display images from the car’s camera. There’s no word about when we can expect the concept to become a reality. 11. Mahindra UDO Concept The UDO is an electric “mobility pod” and Mahindra claims that UDO is “targeted at the tech savvy urban citizen” and offers an enclosed architecture with micro climate control, lighting, touch-screen infotainment and blue-tooth enabled audio systems. 12. Mahindra e-KUV 100 The e-version of KUV 100 is also on display and Mahindra revealed that it comes with features like smartphone connectivity, remote diagnostics feature, cabin pre-cooling, real time location tracking. It offers range of 140 kms and gets charged 80 per cent in less than an hour. 13. Renault Trezor Concept EV The Trezon Concept is a head-turner from all angles. It has a radical design and is one of the best concepts on display. This is a two-seater electric coupe which is 4.7-metre long, 2.18-metre wide and 1.08-metre high. Honda has finally taken the wraps off its latest generation Amaze sedan at the Auto Expo. The next-gen Honda Amaze is scheduled to be launched in India in the fiscal year 2018-19. The 2nd Generation Honda Amaze gets new exterior styling, premium interiors, better performance and more safety technologies. 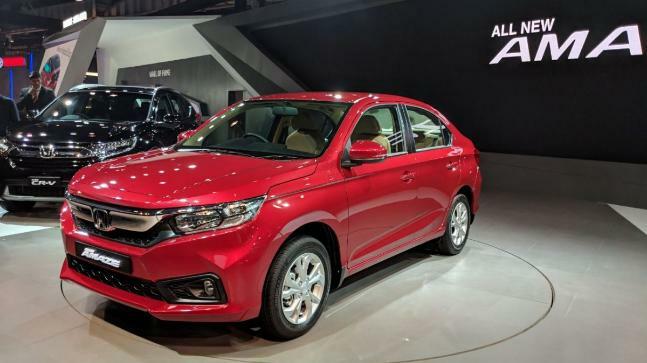 The company also unveiled the All New 5th Generation Honda CR-V and the 10th Generation Honda Civic for the Indian market. Both these models are also scheduled to be launched in India in the fiscal year 2018-19. However, this is the first time that Honda CR-V will also be introduced with Diesel powertrain. The Civic will also be introduced in both petrol & diesel in India. The Amaze has been developed on an all-new platform incorporating Honda's engineering and research and development. The car now gets an all-new design, better interiors, better powertrain, more focus on stability and ride performance and is equipped with latest in safety technologies & convenience features. On the front, the Amaze's grille design has changed and no more looks like a Brio with a boot. A compact size of 4m realizes an aerodynamic sleek sedan form with a massive bonnet along with lowered height gives off a striking look. Under the hood, the Amaze gets the same engine from the previous model which is a 1.2-litre petrol with power figures of 87bhp. Also on showcase at the Auto Expo 2018, the new 5th Generation Honda CR-V which gets a new design essence, driving performance, various functions and features. In terms of powertrain, the Honda CR-V will be introduced in diesel variants along with petrol engine option in the Indian market. The new CR-V comes with new styling featuring LED headlights and tail lights, LED DRLs, a sharp-lined front grille, and new alloy wheels. The CR-V interior gets a newly revamped feel and a third-row seating option as well. Honda has also displayed their current models including advanced Accord Hybrid, bestseller Honda City, Honda WR-V, Honda BR-V, Honda Jazz and Honda Brio.